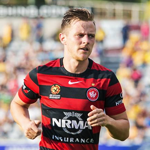 Jamieson: I'm enjoying my football again	After leaving Perth Glory and the dramas of last seasonâ€™s salary cap scandal behind him, Western Sydney Wanderers left back Scott Jamieson is enjoying football once again. 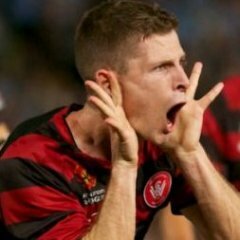 Jamieson is looking like the player that that excelled at Adelaide United and led to the former Bolton Wanderer youth earning four Socceroo caps. Under Tony Popovicâ€™s management he has impressed running down the left flank and has been an important member of Western Sydneyâ€™s turnaround in form this season. Even though I am wearing a Nichols jersey, Jamo is my favourite player. Gun footballer. Comes across as a top bloke. Worthy of wearing the captain's arm band. He is one of us. Yeah I ******* love the guy, he's damn good, doesn't take **** from anyone and to top it all off he's a local. Such a beast. A priveledge to watch him week in week out. I'd rather Ange pick Elrich. Him & Nichols are talking about Jamieson having a medical and some kind of 'announcement' to be made soon. They are trolling the world on twitter. Pretty sure it's a pisstake by him and Mitch. Bloody well hope so, coming from NTS he is the biggest shitstirrer on the team!! For the love of God Jamo, mark your man and stop giving them so much space. Especially a guy like Alidovic who has a good first touch when he receives the ball. Won't be long before you have another Wellington episode. In our most recent poor performances it has been highlighted how he fails to mark his on many occasions! Hope he fixes this part of this game going forward! I think it is ironic what you just in that a large part of his problem is that he thinks about going forward too much. Neville on the other side has much better balance and decision making in what he decides to do. We must be watching different games. On the right side, you will see Alberto constantly going off at Neville because of the fact that Neville's positioning can be quite poor. Added to that is that Neville going forward doesn't inspire a lot of confidence. His crossing is poor (although in the last few games he's managed to improve that) and his support play hasn't been very good. He's getting better but it's all about confidence. One thing I really do like about Neville is his timing of tackles as he's nailed a few attackers pretty hard and come away clean with the ball. In saying all that, I would prefer a Jamo type of player on the right any day of the week. Jamo's problem though is that he does push forward far too much and leaves gaping holes at the back. He needs to pick and choose the right time to make those runs because at the moment, anytime we start pushing forward, Jamo is already on his horse bolting away on the left and no one is covering for him - which is a different problem altogether. Neville is still a little raw and inexperienced, but he has far more of an awareness of his roles and responsibilities than what Jamieson has. Go take a look at the last 5 games we have played and see how many times we get exposed on the left, and how many times on the right. Blake Powell made Jamo look average ffs. I am glad Alberto is barking instructions at Neville. He is doing his job. Topor should be going off more at Jamo. We are always going to run risk of teams getting behind our fullbacks. Our wingers tend drift infield and our width comes from the fullbacks getting forward. I thought that our back four did a great job in Newcastle. In the game I was watching Alidovic was sticking out of Jamo's back pocket. And I do not recall Trifunovic and Nordstrand doing anything productive or dangerous. My issue is that he seems to fall asleep defensively at times & not just because he is bombing forward. Usually it seems he just switches off momentarily or ball watches for just a few seconds for his man to get the best of him. Jamo's not flawless but name me a left back in the A League whom you would rather have. If he didn't have those weaknesses he wouldn't be playing at this level. I'd take his style over D'Appuzzo any day. Actually I think you have made a very good point here. I do notice he is only watching the ball and not the actual outside man coming through during a game. He should be watching both the ball and keeping an eye on the outside man, and trying to make it as difficult as possible for the outside player to create/do something. His defending is pretty bad, and really he should just be marking his man as closely as possible as he doesn't seem to be able to control the space between the ball and the man. 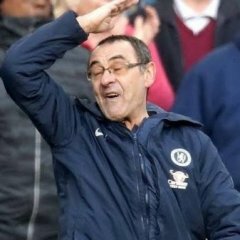 In all honesty he's not a whole lot better than D'Appuzzo. He just has a few more tricks up his sleeve. i know & it is true, just trying to highlight how much more solid we'd be if he paid a little more attention to his defensive duties. He is a step above Golec forward & back, 50x better than Adeleke but on par with d'apuzzo. I guess the biggest difference was that D'apuzzo paid more attention to his defensive duties & wasn't as good going forward. This wasn't such a big issue because Polenz was so good at right wingback & the style we played only required one wingback to push on rather than our current style requiring both wingbacks to push forward. Whose style I prefer? I'd say that Jamo positives/weaknesses are completely opposite to D'apuzzo but I'd rather be defensively solid first & then worry about going forward later. In saying that most games defensively Jamo is okay, especially the first 15 games. 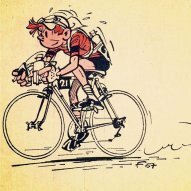 It is only in the last 2 months I've noticed a few lapses in concentration. Yes I think we all love a good wingback who bombs on & love his mentality where he works his arse off every game whilst having a bit pest/joker mentality in the dressing room & on the field but just want to be a bit tighter at the back (stop conceding **** goals). I'm a Jamo fan. But I get frustrated how often he cuts back inside. Considering he was considered an excellent crosser of the ball he doesn't do it often enough for me. In that regard he is similar to D'appuzo who rarely crossed the ball. 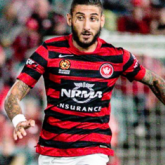 Is it part of Popa's master plan for the left back? It seems to me Neville, despite his faults, crosses the ball more than Jamo. Unpopular opinion probably....... but I would get shot of him. He didn't have a great end to the season but he did play every single minute...and it's still hard to think of a better left back in the league (Goodwin?). Get someone decent as a back up so he can have a rest every now & then and he'll be fine.